Undoubtedly the most photographed rock in the world, Australia’s famous monolith continues to draw appreciative crowds. Uluru/Ayers Rock sits in a depression in the earth’s crust formed 900 million years ago known as the Amadeus Basin. It is located near Yulara, 400 kilometres south west of Alice Springs in Uluru/Kata Tjuta National Park and is easily the most popular attraction in Central Australia. Names like Uluru/Ayers Rock and Kata Tjuta/The Olgas are synonymous with Australia’s iconic interior. Situated 462 kilometres south west of Alice Springs, these geological wonders are visited by thousands of visitors every year. Sunrise and sunset shed a myriad of different lights on these intimidating formations (Uluru/Ayers Rock is a monolith, Kata Tjuta/The Olgas an unusual collection of massive domes). A viewing at either of these times is invariably described as ‘spiritual’, ‘majestic’ and ‘unforgettable’. Yulara is the settlement that has sprung up to service tourists to the area. It is home to Ayers Rock Resort and a domestic airport for flights from most Australian capital cities. Kata Tjuta/The Olgas is an impressive formation of 36 domes about 45 kilometres west of Uluru. Both landmarks have huge cultural and spiritual significance to the area’s traditional owners, the Anangu people. The Anangu believe Tjukurpa (a combination of law and religion) connects them to the earth by explaining the creation and purpose of all things, from wallabies to snakes to Uluru/Kata Tjuta itself. Tjukurpa guides every aspect of their life. The Anangu prefer visitors do not climb the rock. They feel great sadness if visitors to their land are hurt or killed. Aboriginal cultural tours are available twice a day with pick ups from the Aboriginal Cultural Centre located in the park. The design of the cultural centre was inspired by ancestral motifs and the installations and information contained within are an excellent way to connect with Uluru’s ancient culture. Europeans had no idea of Uluru’s existence until William Christie Gosse and William Giles reached the area on 19 July 1873. “…This rock is certainly the most wonderful natural feature I have ever seen,” Gosse wrote. There are several ways to view Uluru. Self guided or ranger guided walks are possible, scenic flights allow a birds eye view of the stunning landscape or camel rides and bird watching tours help you appreciate the serenity of this vast natural wonderland. Set on the banks of the usually-dry Todd River, the modern town of Alice Springs is situated 461 kilometres north east of Uluru. Discover some of the accommodation in and around Uluru/Ayers Rock. 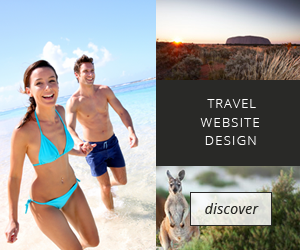 Discover some of the tours options around Uluru/Ayers Rock. See more Ayers Rock tours. The 36 burnished red domes of Kata Tjuta, also known as The Olgas, inspire the imagination. These beautiful, mysterious rocks which are part of the Uluru-Kata-Tjuta National park are even called ‘many heads’, (Kata Tjuta) by the local Aboriginal people. It is no surprise to learn of the rich heritage of stories and spirituality that surround them. Lying around 30 kilometres from Uluru and some reaching more than 500 metres, these monoliths have been of special significance to the local Anangu aboriginal people for around 60,000 years. On a guided tour of Kata Tjuta these stone memories come alive with a cast of compelling characters. The tallest monolith, Mount Olga, is the home of the snake Wanambi. During the rains he stays curled up in a waterhole on the summit, and in the dry season he moves down to the gorge below. The dark hairs of his beard are the dark lines on the eastern side of the rock, and his breath is the wind which whistles through the gorge. A rock to the east embodies Malu, a kangaroo man attacked by dingoes and dying of his wounds. His sister, the lizard woman cradles him in her arms. The dome-shaped rocks on the eastern side of the valley personify the mice women. Their food is two large rocks towards the end of Mt Olga. Rocks in the south-western part of the valley mark the camp of the poisonous snake men, the Liru. They camp here before launching an attack on the pythons at Uluru. You can also see the stone bodies of giant cannibals Pungalunga. Visitors barely need to be told that Uluru is a monolith of great spiritual significance. The great, moody rock, reaching 348 metres tall and measuring nine kilometres at its base, fairly radiates mystery. Its relationship with the local Anangu Aboriginal people goes back some 60,000 years. The land is dotted with ancestral sites, rich in meaning. Take a guided walk at its immense feet with some of the local people, or visit their centre at the base of the rock and listen to some of the Dreamtime ancestral stories that will give you an insight into the significance of this land. To the Anangu, Uluru is alive with the presence of dozens of ancestral beings who still inhabit special sites. Their activities are recorded at certain sites around Uluru and most of the stories are sacred and shrouded in secrecy. But the Anangu, through their stories, artwork and dance can give you glimpses. The Liru (poisonous snake) and Kuniya (woma python) are significant ancestral figures for the Anangu, but there are many others as well. Some of them are illustrated in cave paintings around Uluru. Perhaps you will see the marks of Tatji, the small red lizard’s efforts to scoop out his lost throwing stick, embedded in the rock. Or you may glimpse his body, which remains in the form of boulders on the cave floor. In the grey lichen on a rock face you may see the smoke from the fire once lit by the blue-tongued Lizard men who tried to cheat the Bell-Bird brothers out of their share of an emu kill. The Olgas, or Kata Tjuta, a mysterious collection of inselbergs (island mountains) provide many opportunities to walk through and absorb the atmosphere. Many people are even more impressed and inspired by the Olgas than by Uluru. Like Uluru, the monoliths respond to shifting light and weather conditions by changing colour from deep mauve to smouldering red. The tallest, Mt Olga, is almost 600 metres high, more than 350 metres taller than Uluru. Some of these domes are so sacred to the Aboriginal Anangu people that they can’t be accessed by non-indigenous people. Aboriginal lore dictates Kata Tjuta is a sacred men’s site, and has only two places where non-initiated men can enter. Fortunately there are still enough beautiful walks: the most popular being the Valley of the Winds, Lookout Walk and Olga Gorge. The Valley of the Winds walk makes a beautiful three-hour round trip into the heart of the domes. It is recommended that you do this at sunrise or sunset, when the changing light brings out a breathtaking array of colours. There are many ways to enjoy the landscape, and you can go on your own expedition or tour with a knowledgeable guide. Tours depart regularly from Alice Springs and a resort at Uluru. Some tours will take you camping in the area, complete with a champagne breakfast to watch the sunrise over this sureally beautiful land. If that’s not enough, try a hearty Australian dinner as the sun sets! Few visitors to Uluru return unchanged. It’s easy to see why the rock and the surrounding land has such huge spiritual significance for the Anangu Aboriginal people. It lies in Australia’s red centre like an enormous, moody heart. Uluru is 9.3 kilometres in circumference, and the icy-green and grey vegetation at its massive feet offer a refuge for wildlife. It is immense in size – yet more than two thirds of the rock is actually hidden beneath the ground. Then there’s its sheer beauty: it outshines even the brilliant sunset, arraying itself in a multiplicity of hues from black to purple, blue to brown, orange and red throughout various times of day and weather. It makes a spectacular contrast with the relatively flat sand plain that surrounds it. Uluru’s cousins, the Olgas, or Kata Tjuta, make another sacred site just 32 kilometres away: a collection of 36 steep, rounded, russet domes over around 3,500 hectares. Both these splendours are encompassed by Uluru-Kata Tjuta National Park. At its entrance you can find all sorts of accommodation for your voyage of discovery, from campsites to luxury resort stays. Then here are so many ways to encounter the land around Uluru. A hike up the rock, or a campfire dinner, where you can savour barramundi, emu or kangaroo underneath an incomparable starlit sky. Drink in the sunset while you sip champagne, or encounter the landscape on a Harley Davidson. Or see it from a grand height – either a light plane or a camel’s back!